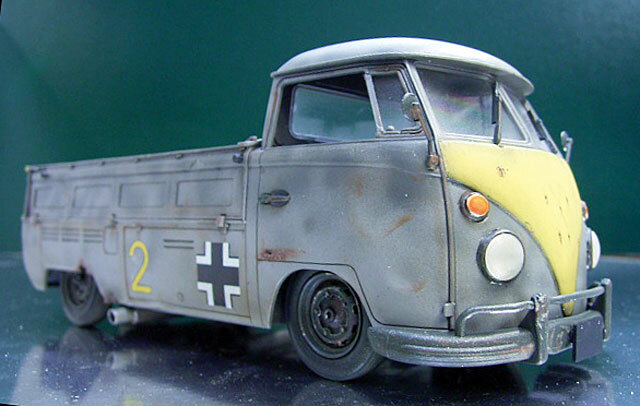 This is Hasegawa 1/24 scale VW pickup that I've painted in Luftwaffe style camoflage. 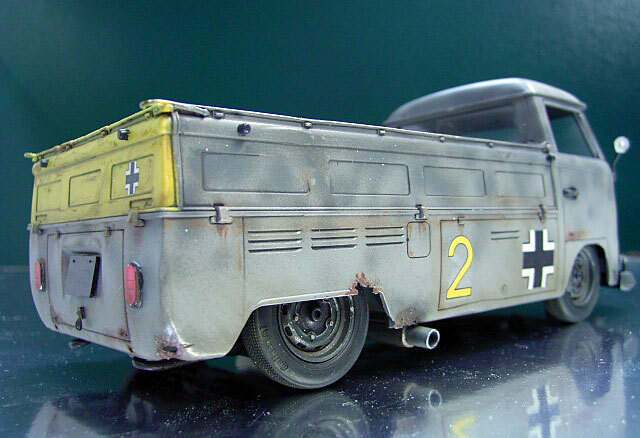 I have only built one aircraft kit so far and it was quite fun, so I decided to combine the car and aircraft. 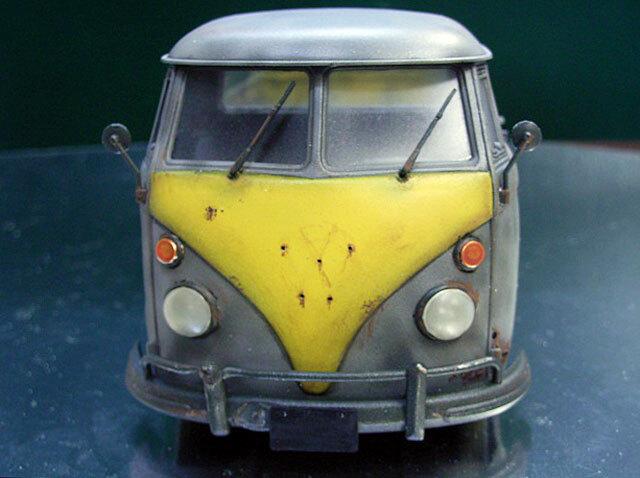 I have modified the kit by lowering the suspension, fitting Tamiya Beetle wheels & tyres, made a custom exhaust in solder, then dented & "rusted" the body. 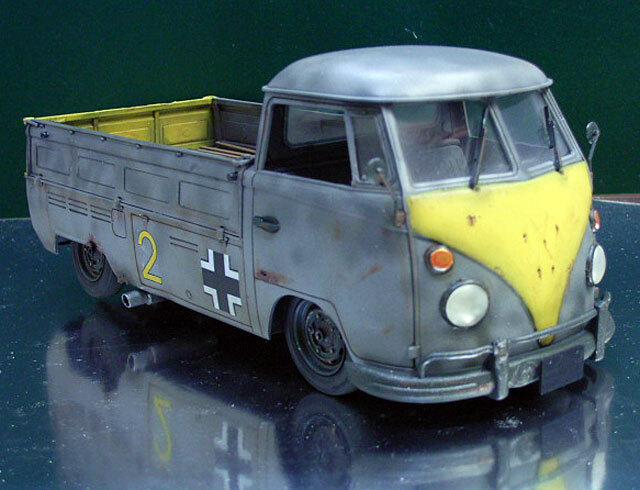 The model is painted in Gunze acrylic through a Paasche airbrush & weathered with pastel.